Learn about the new features of PDFpen 8 and how they can help you work smarter. Learn how to add your signature to a document, and learn about digital signing certificates. Learn more about the new features in PDFpenPro 8. This video covers: highlighting, adding comments and notes, using the Library's proofreading marks, adding URL links, and print options. This video covers: adding a signature and saving objects to the Library. This video covers: using the text tool to fill forms and filling interactive forms. This video covers: manipulating images by adding an image to a PDF page, moving, resizing, adjusting color, appling effects, and resampling. This video covers:what OCR is, how to OCR, viewing OCR text layer, and copy and pasting OCR text. This video covers: fixing typos with the Correct Text tool, keyword search with the Find tool, search and replace, redaction, redact and replace. This video covers: exporting PDF to Microsoft Word, page numbering, Bates numbering, saving with encryption and a password, saving to Evernote, and using AppleScript. This video covers PDFpenPro only topics: creating forms with automatic form creation, text fields, checkboxes, radio buttons, signature fields; creating a PDF from a web site; editing the text results of OCR; creating and editing a table of contents; setting a password and permissions; advanced exporting options. Getting started? Watch PDFpen in action on our Video Tutorials above. How do I install PDFpen? How do I buy or upgrade PDFpen? 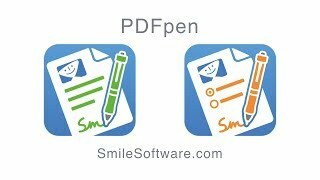 Buy PDFpen from our web store. Buy, or upgrade, from within the product itself click here for instructions. PDFpen won't register no matter what! What do I do? I bought from the Mac App Store, why isn't the upgrade working? I purchased on the Mac App Store after January 1, 2018. How do I get a free upgrade? PDFpen or PDFpenPro 9 can only be upgraded for free by downloading the direct-purchase version of PDFpen or PDFpenPro 10, not with the Mac App Store version. When you launch the downloaded app, you'll be prompted to locate your previous version Mac App Store receipt file, as that can only be read with your permission. Once your receipt is verified, PDFpen or PDFpenPro 10 will offer to contact our server and issue you a license to the direct purchase version. 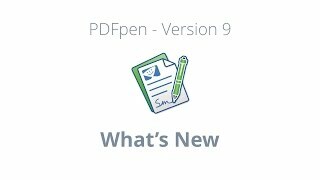 Are PDFpen and PDFpenPro compatible with macOS 10.14 (Mojave) and macOS 10.13 (High Sierra)? The latest versions of PDFpen and PDFpenPro v10 are compatible with macOS 10.14 (Mojave) and macOS 10.13 (High Sierra). (Download the latest version of PDFpen and PDFpenPro here. What is the difference between PDFpen and PDFpenPro? What if I don't have Mac OS 10.12 or later? See the System Requirements to download the version of PDFpen which supports your OS version. How can I purchase a license for version 9.x or earlier? We stopped selling v.9 licenses when v.10 was released. A current version license of PDFpen v.10 gives you access to any previous version. Contact support for assistance on registering the version you want to use. This license will also work in the future to register PDFpen v.10 should you update to it. Yes, there is a 30% education discount. Please visit our education store for more details. When are updates available on the Mac App Store? Smile submits applications for review by the Mac App Store on the day that they are released. Apple must approve the update, and has sole control over when they appear in the Mac App Store. How do I use PDFpen with iCloud Drive? Have any other questions? Search our Knowledge Base for answers. Requires an 64-bit Intel Core 2 Duo Mac.